So Long, Erica. Farewell, Peacock. Believe it or not, every so often I wave goodbye to a loom. Recently, I sold my 25″ Erica rigid heddle loom to a new weaver who wanted to give it a try. 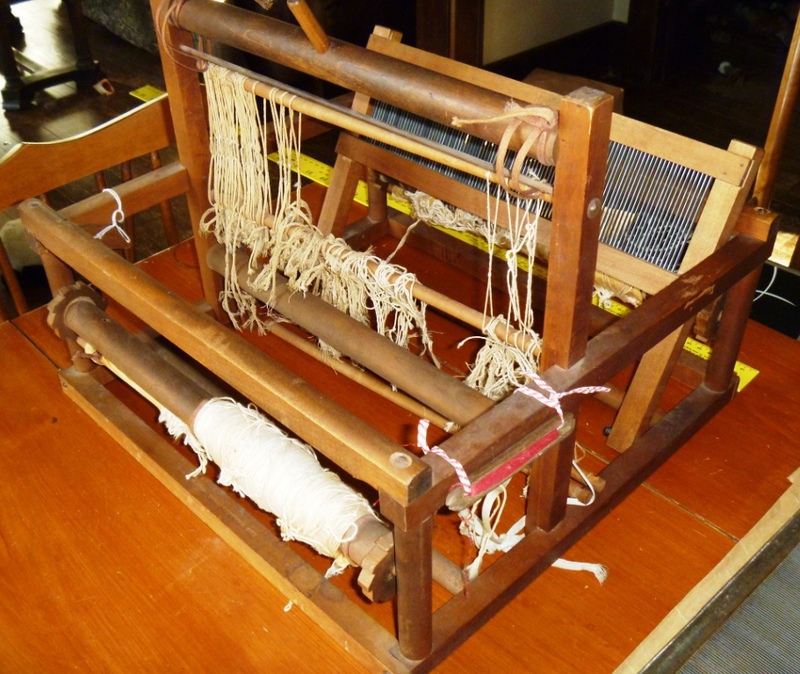 The 12″ two harness Peacock, a teeny, vintage loom in need of new heddles and love, was also sent to a new home. But even though I feel some relief and, yes, a bit smug, after sending these two out into the world (I’ve downsized! I’ve gained some space! ), that hasn’t stopped me from welcoming a few more: one new, one old. (Hmmm… there goes that smugness.) I’ll blog about them at another time. In the meantime, thanks for the memories, Erica. Glad to have known you, Peacock. 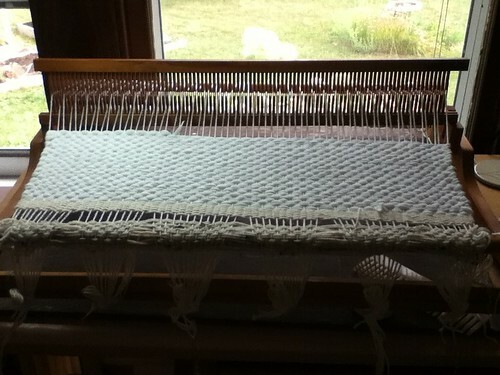 Posted on June 11, 2014 June 11, 2014 Categories Rigid Heddle Loom, Tabletop Loom, Vintage, WeavingTags erica, handcrafters, heddle, loom, peacock, rigid, weavingLeave a comment on So Long, Erica. Farewell, Peacock. 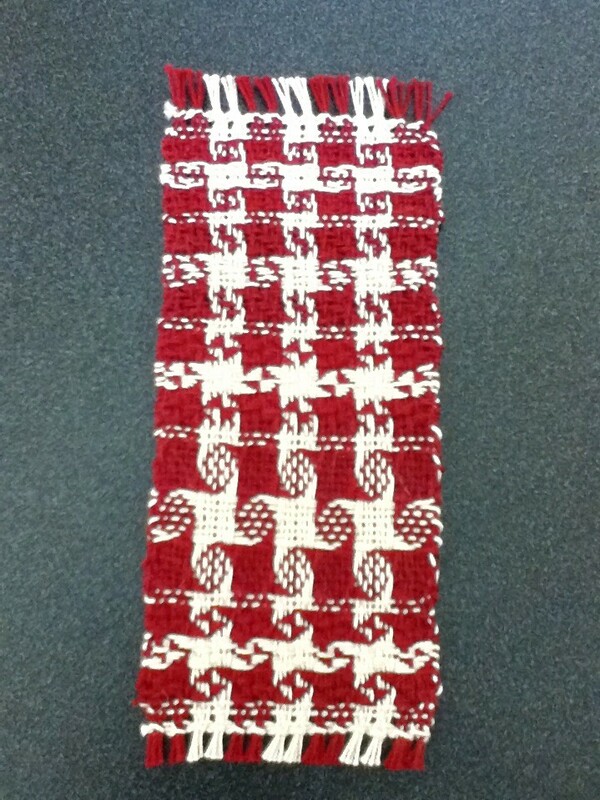 I finally finished this project! Hooray! 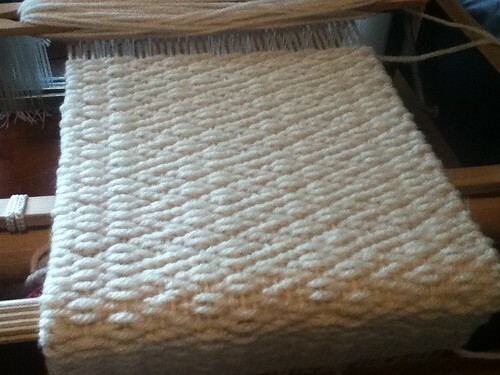 The pillow is made from some fabric I wove on my Ashford table loom. Posted on December 24, 2012 May 10, 2013 Categories Finished Object, Home, Tabletop Loom, WeavingLeave a comment on Have a Merry Christmas! 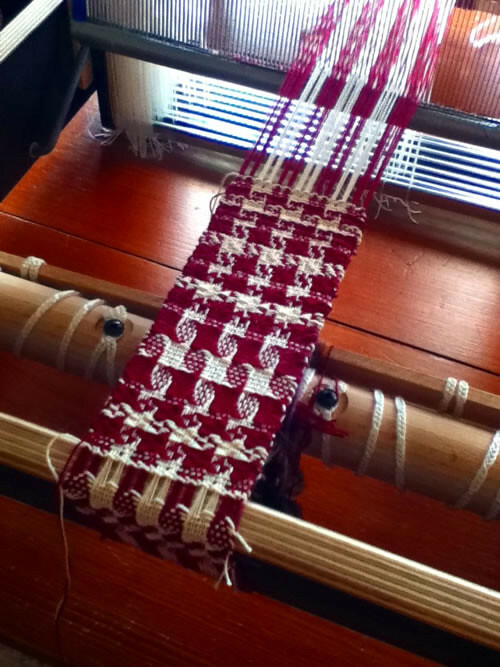 If you check the January/February 2012 issue of Handwoven, there’s an article devoted to weaving pinwheels on an eight shaft loom. 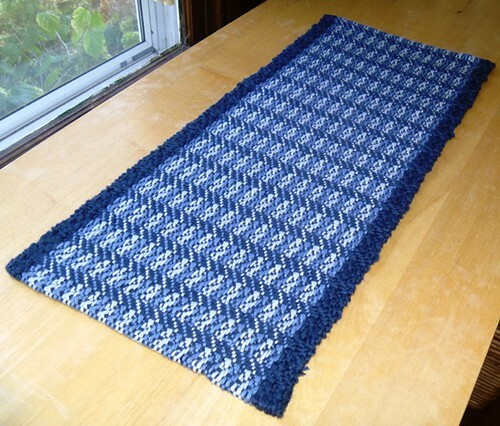 If you also check Ravelry, you’ll find there’s a weave-along featuring pinwheels. 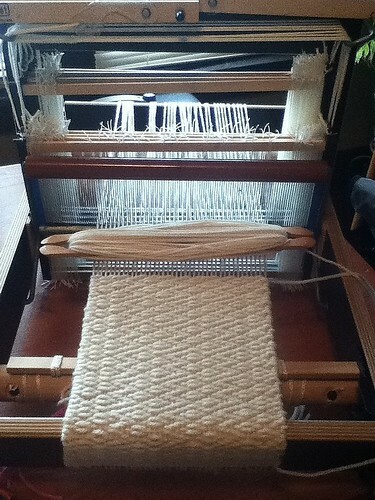 So my loom was empty, and I wanted to try eights shafts. 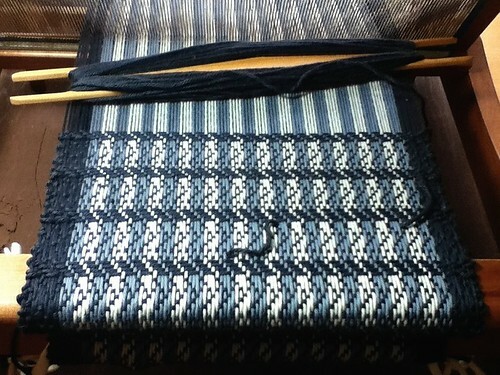 Guess what I decided to weave? With the yarn I chose (crochet cotton at 40 wpi), doubled in a 10 dent reed, the designs that worked the best were the ones marked B and C in the article. After trying five different ones, I finally decided to try either B or C in a slightly longer sample (the second from the bottom and the third from the bottom in these pictures). I have no real goal other than trying something with eight shafts. 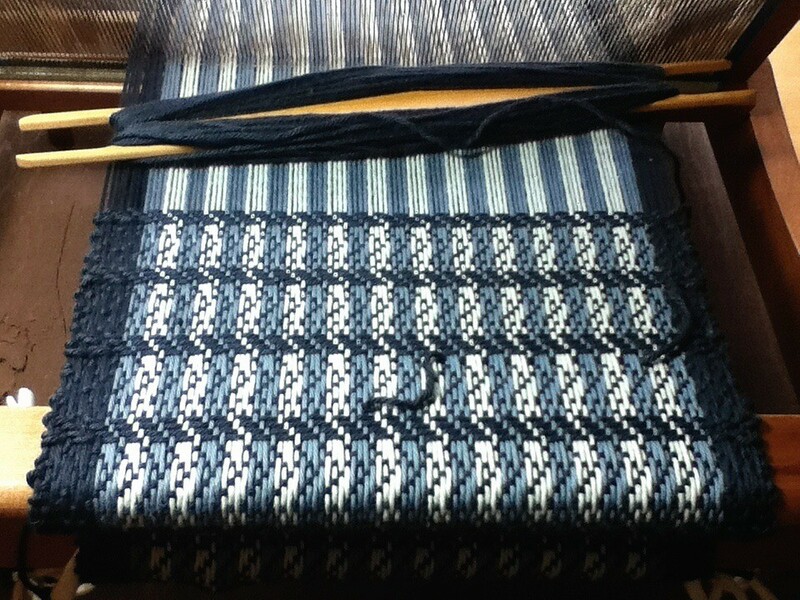 Because this is only a 3″ wide warp, it could become something crazy like a bookmark. 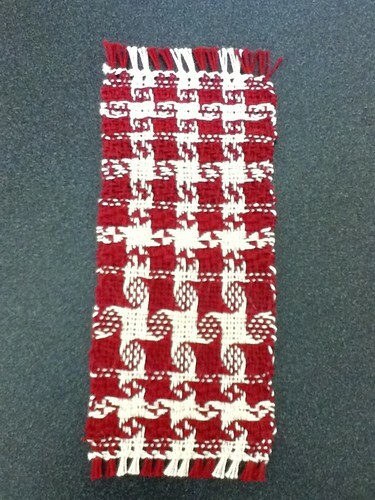 Next up: another scarf. I’m crazy about scarves!